Phelix Martineau tries to shoot the puck in front of Cincinnati’s Arvin Atwal during Friday night’s game. 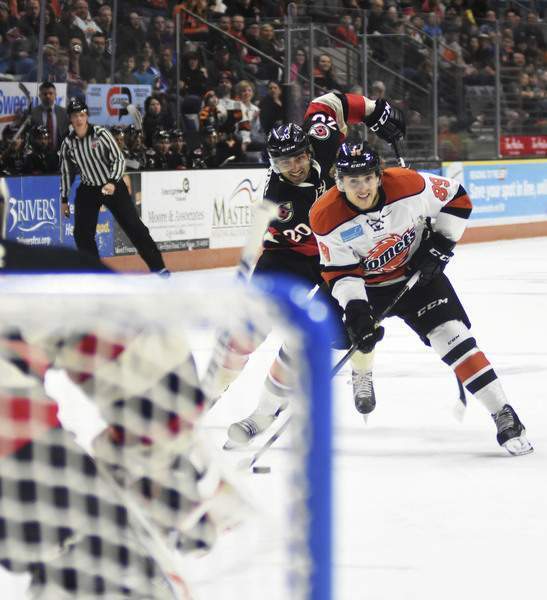 Photos by Katie Fyfe | The Journal Gazette The Komets’ Mason Baptista carries the puck during the first period of Friday night’s game against Cincinnati. There is a possibility that Shawn Szydlowski gets some discipline from the ECHL for his part in the postgame fracas with the Cincinnati Cyclones at Memorial Coliseum tonight, though I don’t think so as this was pretty tame when it comes to breaking free from the officials and Szydlowski doesn’t have much history of overstepping. 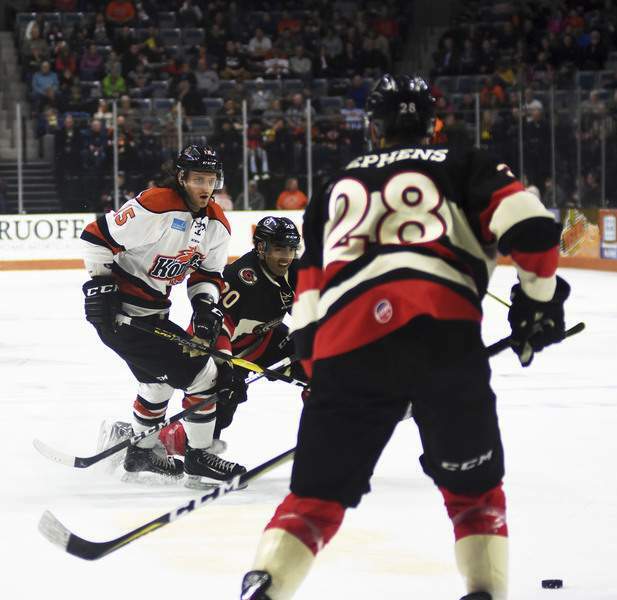 This came at the end of the Komets’ 3-2 loss to the Cyclones, yet another game that left Komets coach Gary Graham and his team frustrated – namely with ill-timed penalties and giveaways that led to three second-period breakaways, two of which resulted in goals for the Cyclones. Fort Wayne remains nine points back of the Toledo Walleye for second place in the division. 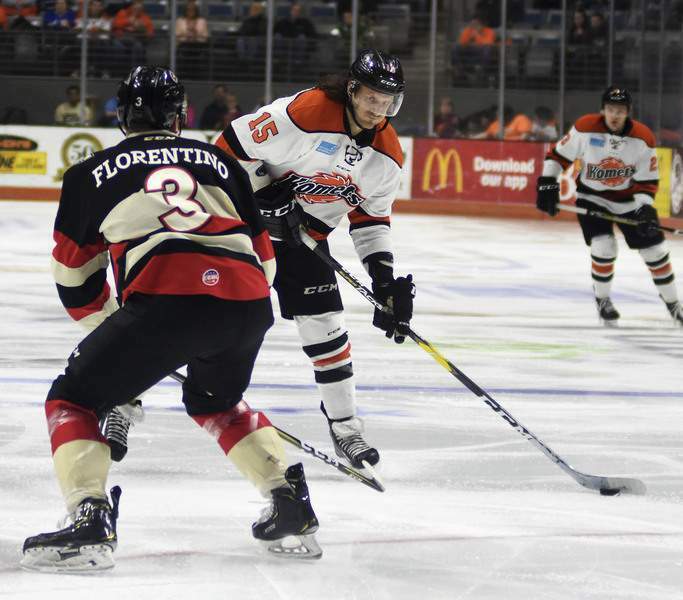 The Walleye has given Fort opportunities lately to make up ground, losing two of their last three games, but the Komets haven’t been able to capitalize and remain only one point ahead of Kalamazoo with nine games left in the regular season. 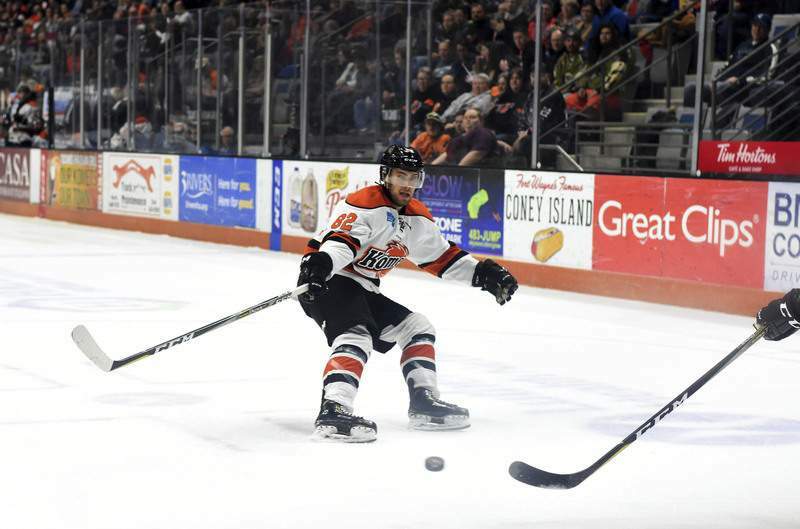 The Komets played without all-star forward Justin Hodgman, who has 13 goals and 48 points in 44 games, because of a foot injury. But they signed goaltender Alex Dubeau, forward Anthony Nellis and forward Gage Torrell. Dubeau had been with the University of New Brunswick, where he won three University Cups, and he was MVP of the playoff tournament this year. He was 15-6-0 with a 2.31 goals-against average and a .894 save percentage this season. Nellis had 15 goals and 33 points in 38 games for Lake Superior State, where Torrel had seven goals and 25 points in 38 games. “I loved (the new players) and that’s what we need more of – guys who come in, buy in, skate hard and don’t take dumb penalties,” Graham said. More from Campagna: "This was a tough one to swallow. They're a first-place team and we had chance to beat them on home ice. 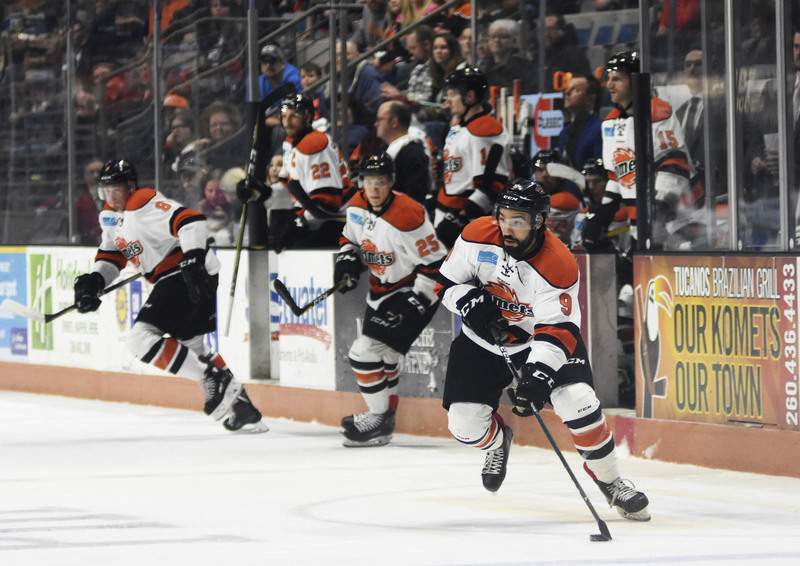 With Toledo losing tonight, we had a chance to get closer to them in the standings, to push closer to home ice (advantage in the first round of the playoffs), and we don't get the job done. That's disappointing, but we've got to flush it and get ready for two division games this weekend on the road (against Indy and Toledo)."